Since our company was established in 2013, we have slowly grown our customer base to more than 300 and now our work includes both landscaping design and garden maintenance. We pride ourselves on customer satisfaction and we have over 87 five star ratings. As a team we have also gained a lot of valuable experience in caring for a wide variety of lawns, flowers, trees and shrubs. We provide high quality workmanship at reasonable prices, letting our work speak for itself - so we only use the best materials. We don’t advertise but we’re confident enough to rely solely on word-of-mouth and personal recommendation, and of course, we are fully insured for public liability. 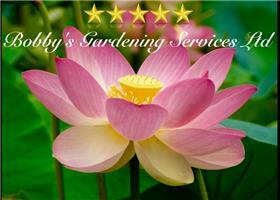 We have sister companies and we cover London, Essex, Hertfordshire and Cambridge area.